After the initial consultation each of our patients receive a Treatment Plan detailing which treatment or procedure they will require. During the initial assessment , the options and alternatives of treatment will be discussed. The comprehensive treatment plan explains how many appointments one will need and when each of the appointments will be. The treatment plan also details clearly the costings involved at each stage of your treatment. 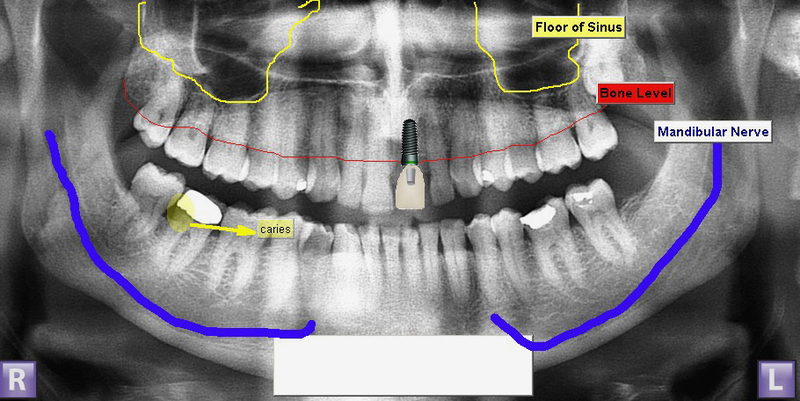 Planning properly for dental implant treatment. During the initial consultation the dentist may take radio-graphs (X-rays) of your mouth in order to visualize what dental implant treatment is best suited for you. Photographs and models of your mouth are also very useful in compiling your treatment plan. The panoramic radio-graph is one of several types of radio-graph which we use to help to outline the dental implant procedure. The panoramic radio-graph image captures all the teeth in the mouth, the upper and lower jaw bone as well as the temperomandibular joints. The panoramic is a mirror image of your mouth and the capital R on the lower left hand corner is a reminder that this is actually the right side. The panoramic radio-graph is sometimes used to illustrate the Treatment Plan for each patient. The illustration is done during the initial consultation with each patient. By understanding the treatment plan the patient is able to clearly see what is to be carried out during the treatment phases. Dental Implants can be placed virtually into spaces which exist. Patients generally find this exercise very useful as together we are able to see what is possible. In many cases we need to ascertain the exact amount of bone prior to placing an implant. Radio-graphs do provide some information however most radio-graphs only provide images in 2 dimensions. This means that although we are able to see that bone exists where implants are to be placed, we cant be 100% certain of this until we see the area of interest in 3 dimensions. In these cases we recommend take a low dose CT scan using our in house CBCT (cone beam computer tomography) Scanner. 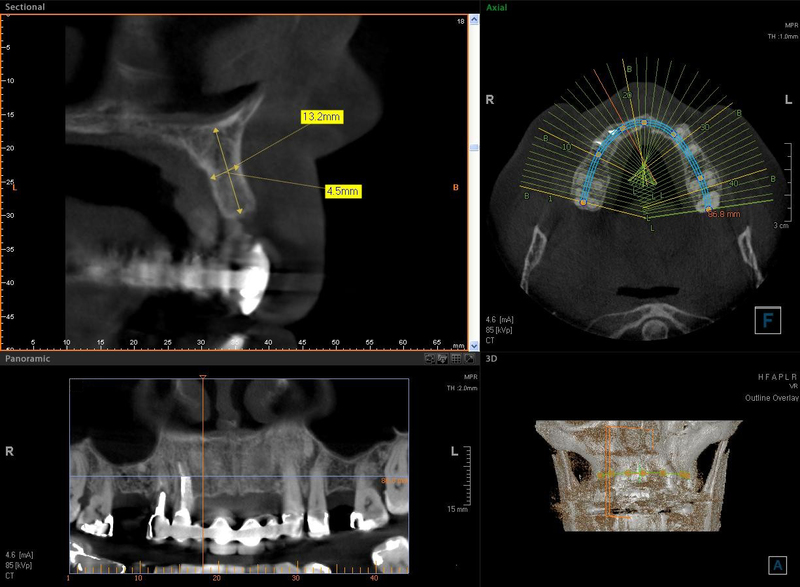 The 3 dimensional images from a CBCT provide accurate and exact measurements of the area of interest. Unlike conventional radio-graphs CT images are not magnified hence are more accurate for treatment planning. All of the Brighton Implant Clinics have on site dental CT Scanning machines. For more information on Treatment Planning for Dental Implants Contact Us for your FREE initial consultation. Hi Craig, thanks for your visiting our site and for making an inquiry. Unfortunately we are unable to provide dental implant treatment on the NHS. At the present moment some patients are able to have dental implant treatment on the NHS only in teaching hospitals or in such cases where the patient has exceptional circumstances like facial trauma, oral cancer patients or those patients born without teeth (hypodontia) I would recommend that you make inquiries with your local PCT to find out what is their specific policy or protocol for dental implant treatment on the NHS. If you have any further questions please feel free to contact us. I havent been to the dentist for many years and have recently returned and am going through a dental plan with a private clinic. One of the treatments will be for a front tooth to the left. which is heavily decayed and has no live nerve. The dentist has advised that this will need root canal treatment and then a root crown. However, expressed risk that if this is knocked etc it may fall out/need removing. Looking at the price for the root treatment and crown this is very similar to the price of an implant. Is this something that can be extracted and an implant used instead? If so can the extraction and implant be done at the same time or would I have to wait for the socket to heal from the extraction first? Hi I have a full denture on the top and 8 of my on teeh on the bottom with no denture. Three of this teehs are quite heavly filled and very sensitive. 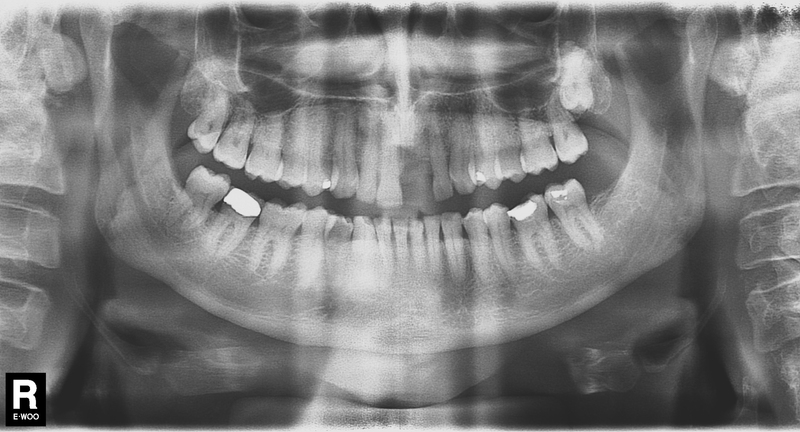 Can I get an implant even though I have had my teeh extracted 15 years ago? Dear Candy, thanks for your message. I would recommend that you see a dentist first to assess how much bone you have. Our clinic offers a FREE initial implant consultation. During this appointment we will be able to carry out the checks to see if implant treatment is possible. We know that bone loss occurs over time when teeth are missing. A ct scan can be used to see exactly how much bone is present before implant placement is carried out. If you need any further information please do let us know.